This week is the first of a two-part series on hiring and firing in PR and marketing agencies. Next week, the co-hosts will look at the flip side: when and how to fire employees. 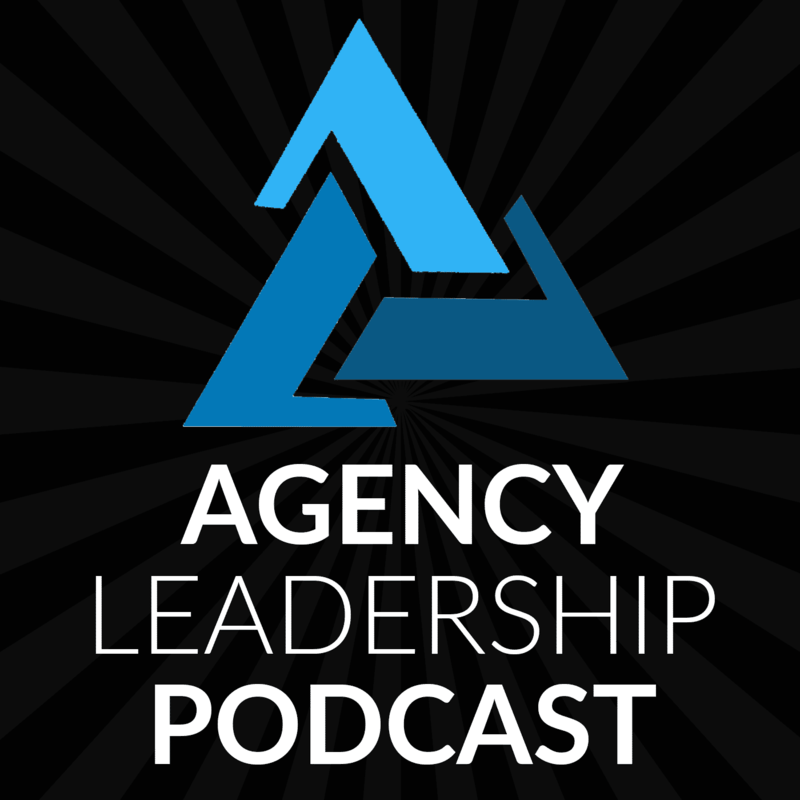 It’s not a pleasant topic, but it’s one that agency leaders need to confront periodically. And we’re here today with a special two part series. it’s, you know, this, this episode kid, or this show can now drink. So, you know, why not do something wild and crazy. Hey, look at – we’re all grown up. Look at that. We’re all grown up. We’re all grown up. Yeah. 21. So, yeah. God, to remember when I was 21. I can’t really remember that. I didn’t drink yet. So I remember. you’re not going to get arrested now? You’re good. But, you know, after folks listen to these two episodes, they, they may want to drink themselves, because, you know, they’re, they’re too stressful times for agencies. Yes. And so it’s, it’s how to hire and the flip side how to fire because if you’re going to hire, you have to be prepared to fire. You do. And you also have to follow the higher slowly, fire fast mantra. Hmm. Absolutely. And I think actually, that’s a, that’s a good place to start. Let’s let’s dive in there. Because, you know, knowing when to hire is as important as understanding how to do it right. So, you know, there has to be a certain reluctance, right to hire, you don’t, you know, you don’t want to jump out and say, okay, you know, I need to hire, I got a new client, let me go hire somebody right away, you know, you have to be really, you know, thoughtful about it, and understand what it is that you’re needing and what you ought to be hiring. And we’re in a different position in 2019 than we have been in years past where a good majority of the force, especially the workforce, especially in our industry is freelancing. And so now you have the opportunity to look for somebody who has a unique set of skills that are specific to exactly what you need, versus bringing on an account executive who may be a great project manager, but you got to teach other stuff to. So I think you’re in a really good position right now to think about, is it a contractor/freelancer? Is it a full time employee? What do both of those things look like? What are the pros and the cons? And where do you start? Right. And I think you know, that that flexibility is is actually both good and bad, right? Yeah, so in the old days, you sort of knew what you had to do right? You know, you if you had you know, a lot of extra work come in or subspecialties where you know, you knew that you pretty much had to hire. And so it’s just trying to figure out, you know, how long you could wait, or, you know, how much you had to pay or, you know, how you’re going to structure the role, but you sort of knew it was hiring a person, but you’re right, today, it is much more common to use freelancers, subcontractors, those kinds of things. And so that gives the agency a lot of freedom. But it also means that there are more decisions that have to be made. And and there are trade offs, right, because as as great as it is to use freelancers at times it’s also great to have employees as well because you know, you might be willing to take a risk on projects with an employee that you might not with a freelancer because there’s an actual dollar cost tied to experimenting when you’re using a freelancer….You know, there’s the, you know, there are and, of course, you know, I would be remiss if I didn’t point out, you know, you should talk to your lawyer and accountant, because rules around how you can use freelancers, and if, if, if, if they walk and talk like an employee, you gotta be careful because depending on which state you’re in, they may actually be an employee and you don’t want to get nabbed for improper use of contract labor. Right, right. Right. Yeah. And also, you know, number of hours and all that kind of stuff, too. So, yeah, you have to be very careful. There are all sorts of, and, you know, maybe, maybe, at some point, we should, we should do a, a limited episode based on our understanding of the law and on on how not to get in trouble hiring freelance contractors, but there are, there are a lot of different tests that are involved, you know, and you just want to make sure that you’re, you’re doing it properly. But, you know, for the purposes of this, let’s, let’s think more about actual employees, right. So, you know, as you think about hiring actual employees, I think it’s really important to think about, okay, if I’m going to hire for this role, have I structured the roles such that I can keep this person busy for 40 hours a week, right. And that doesn’t mean that you don’t want to have some excess capacity, because I always say, you know, it’s really hard to add additional clients to your agency, if you have no capacity, right? So, you know, but you don’t want to have someone that you can only come up with 20 hours a week of work, and then hire them for a full time position. Because unless you happen to be an agency awash in cash, and I don’t know a whole lot of those, you’re going to be in a bad position pretty quickly. Yeah, so I think you’re right. I mean, one of the very first episodes we did was talking about, from financial perspective what that looks like. And there are some rules of thumb, and there are some not rules of thumb for figuring that out. But I think you’re exactly right. Looking at it from the perspective of, Okay, what would this person do? And and how much time can we fill? Is it a part time job? Or is it a full time job? And if it’s a full time job, what does that look like? right. And, and it you know, if it’s, if you craft something where it’s not full time, you know, you can’t fill those 40 hours in the way that role is defined, can you redefine the role in some way that you still get the expertise that you need, but you’ve may be, you know, designed a role that can meet a couple of different needs. Sure. And, and, you know, particularly in, in the modern workforce, there are a lot of multi talented people out there, that can be a little bit harder to find. 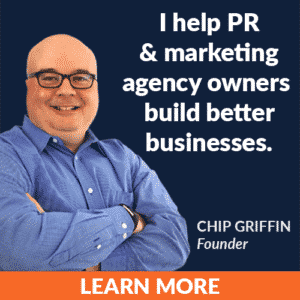 But if you’ve got the, you know, the right position, and then find the right individual for it, you know, you can actually have a really winning scenario to, to help your agency advance. Yeah, and you can very well look at things like, you know, I mean, maybe somebody’s looking to get their foot in the door, and they don’t mind doing some administrative things as, as well, as well as learning on the job. So maybe it’s a, an account executive, or an assistant account executive, whatever you want to call them, who also is helping you manage your calendar, or helping with clip reports, or, you know, whatever happens to be, you know, data pulling data, or whatever happens to be, it’s not exactly an AE job, but it does help you get some things off of your plate, so that you can focus on business development and bring in more business so that then they can be fully utilized. Right. And so, you know, so being creative and how you think about those things can be helpful. And then, of course, you also have to think, okay, I was, I was creative in defining this role. So that, you know, I can maximize the, the number of hours that I can feel I’m maximizing the value to my agency, but, but then you also have to do a gut check and read through that job description. Say, okay, is this does this person is this person likely to exist? Right? Right. Is it a unicorn? It’s possible, you might find that person, but the odds aren’t really good and so, you may be setting yourself up for a really, really long hiring cycle. That reminds me of, I think it was 2009, a university had sent around a job description, looking for a director of communications person at the university to handle the university’s PR, and one of the requirements was that you had 10 years of social media experience. In 2009. And we were all like that, that doesn’t exist yet. You can have 2, but you can’t have 10 yet, right? You need 15 years of experience? No problem! Yeah, they’re doing just fine in the self-confidence area. But you know, but it but it is, you know, you want to make sure that, you know, your ideal candidate is someone who would look at that job description and say, Yeah, I can see myself filling that role. And, you know, I think one of the areas where folks tend to slip up in the hiring process is not understanding that it’s not just about finding the right person, it’s about convincing the right person to join you. And it’s, it’s, it’s really, you know, and I always tell people, this, when you when you do the job interviews with prospective candidates, I mean, that’s a sales process. And if you view this, as, you know, and I’ve seen plenty of job interview processes, where it’s clearly one sided, it’s clear the employer is, is just asking questions, to try to figure out exactly how much do you know about this, and that, and, you know, and, and, and often in kind of wacky ways it that may not be very appealing to your ideal candidate. So, you know, make sure that you’re staying structuring the whole process from reading that initial job description, right on through to the interview process, and all your interactions with them as not just evaluating the perspective higher, but also selling them on why your agency is the right place to work. Yeah, and I think looking at it too, from the perspective of why you might, it might be valuable for them. You know, I remember when we went virtual when we gave up our office space, and I was a little nervous about bringing people in, because we don’t have an office space. And I actually discovered that that was one of the benefits and people were really willing to negotiate in other places, because, you know, if it was benefits or salary, whatever it happened to be, they were willing to negotiate some of that, because they had the flexibility that they would have the flexibility that they wanted, and it works really well, for parents, it works really well for, for people who have small kids who get home at three o’clock, and, you know, they need to be there for after school care, or whatever happens to be, and so, look at the kinds of things that you offer, ancillarily, that may or may not be a traditional benefit, but might be really appealing to somebody that, you know, the flexibility or the…all the paid time off they want, or, you know, whatever, sabbaticals or you know, whatever it is that your agency offers, or can offer, that may not cost you any money. …resumes for people who, you know, talk to him, oh, no, I’m, you know, I’m only willing to work from home or, you know, whatever, you know, be really clear about if you’ve got deal breakers and you’re certain that they’re deal breakers and I and I emphasize certain, right, you don’t want to have something in there that you feel strongly about. But, you know, if you find the perfect person you’ll bend on, you know, okay, don’t, you know, don’t, you know, put the harsh language in the job description. But if you’ve got something that’s the absolute deal breaker, and you know you will never bend on it, put it in there, it will save you a lot of time, a lot of wasted energy, you’ll still get people who will ignore it, you know, there are still job seekers out there who will see, you know, this is not a remote position, this is not a contract position, whatever. And, you know, you’ll get a resume from Alaska. Yeah. And, you know, they’ll say, I’m sorry, to, you know, all my friends in Alaska, all our listeners in Alaska, I’m not trying to single you guys out, but, you know, you get something like that and be like, Okay, are you willing to move to Chicago? No, no, okay. Well, then, when it said, you know, in office job in Chicago, what was unclear about this? And, I will tell you that over the years, we have honed a process for hiring that is, I would say almost perfect because it takes out the emotion of the in person interviews, or video chat interviews upfront so that it allows us to find the right people who have the right skill sets. And we do it all online. And then when we get to the third phase, if they’ve gotten through all the online hoops that they have to jump through, we know that they’re really qualified for the job. And then we meet them in person or on video chat to make sure the chemistry and all that kind of stuff fits. And every single person that we have hired from that process, with the exception of one has stayed here and stayed here a long time. So it’s, we’ve, we’ve figured out how to do that. So that you have there’s, there’s literally three things that you do online, you get an email with with instructions, and this is what you have to do. And we give them a really tight deadline on some things, and not a tight deadline on other things, because we want to know, are you responsive? Are you deadline driven? Can you deliver ahead of time, we want to know all that kind of stuff, because that’s the industry that we work in. And then the last one is sort of a skills test to figure out, can they write, can they edit, you know, that kind of stuff, but it’s like, stuff they can’t look up on the internet, they have to actually produce something. And with that last one, we offer a stipend for that. Because we are asking for some some thinkings, we do offer a stipend for that. But it weeds out people who just aren’t serious about it, or just like, I don’t have the time for this, or I’m not deadline driven and without fail. With the exception of one person. Everybody has stayed years from that process. Yeah, that’s great. And I think, you know, I think everybody needs to sort of hone their own process, I think, you know, you sort of learn a little bit by trial and error, you can certainly learn from other people. But, you know, probably it depends on the personalities on on both sides of the equation. And, and frankly, part of it depends on volume of applicants too, right, sure, right. You know, I think the virtual agencies have the have the benefit, I think of a larger candidate pool. And so, you know, if you’re going to be virtual, and you’re going to be clear that you will hire folks from anywhere, you’re likely to get a lot of applications. And so you need to think very carefully about a process. If you are located in northern Maine, you know, you you probably don’t need to worry as much about that, because you’re probably not going to see the same flow of people, right. So, so you need to, you need to make sure that you’re you’re gauging into that but also gauge it to the individual roles. So for example, you know, if you’re a web development agency, and you’re hiring technical people, you want to make sure that they have those particular technical skills, right. And so, you know, if they don’t, well, that’s going to be a problem. And, you know, when, when I used to hire a lot of developers, both in an agency environment as well as in my old software company, you know, we had tests that we would administer and they had to do it in those cases in office. So we were sure they weren’t just copying code snippets, because, right, right, to those of you who are familiar with, with coding, it’s, it’s very easy these days to google and find just about any problem that someone else has already solved. And so you can borrow from them. But you want to sort of see, and it’s not so much about, you know, the syntax of it, it’s but how they think, right, right, right. And I’m a big believer in general, when I’m hiring people, I want to find people who are problem solvers, regardless of what role they are, whether they’re an admin, or a developer, or communicator, problem solving, and that that thinking process that you go through is incredibly valuable. And so I’m always curious to ask people, you know, how would you handle this kind of situation? And it’s not, I don’t care whether they’ve got the same answer I would have on the actual strategic decisions along the way, or whatever, it’s watching the thought process, because, you know, I can train people on specific skills, I can’t train them as easily on thought process, right? And, you know, can they can they figure out, okay, you know, why is, Why is this not working? Why why, you know, whatever it is, that’s something that just people develop over time, or they have, or they don’t have, and, you know, at least the businesses I’ve run haven’t been large enough that I can take a lot of flyers on people who need a ton of training in that regard. And most agencies don’t have that, right, unless you’re the Edelmans of the world, right, and they probably have enough bodies out there, that they can have more project cases. So I, you know, one of the other things I thought that I am curious what your take is on this, you know, my point of view is, you know, even when an agency is growing like gangbusters, they shouldn’t hire more than one person at a time, at least in a particular group. Because I’m a, I’m a big believer, and I, this is a mistake I have made before myself. So this is I always like to say, I share the lessons of my failures with with you the listener so that you don’t make the same ones I did. But if you hire multiple people in the same team, at the same time, you probably going to guess wrong what you really need, because every time you introduce a new person to the group, it changes the dynamic, it changes,… right? You know, and so, you know, you may bring in one person, then find out, you know, they’re really good at something you didn’t even anticipate. And so your next hire really would be different now that you know that. So my advice, don’t hire more than one person in the same team at the same time, because you really, you want to, you know, backfill it with freelancers or whatever, in the short term until you figure out what it is that you really need for that next higher. No, it’s not that I disagree. It’s that we needed both really bad, badly, and I was serving as chief marketing officer and our content director left in December. He’s the one person I mentioned earlier. So I just figured I would get it all done in one fell swoop. But yeah, I was I needed to get myself out of being the chief marketing officer. So otherwise, you know, it’s challenging to run a business when you’re doing more than one job. It is. But every, every agency owner does more than one job. Uh huh. But as you grow, and you scale, you have to decide what’s important. And I have a really, really good friend who decided he was he was better at the marketing. So he’s the chief marketing officer, and they brought in a chief executive officer. So, you know, there, I think there are things like that, that you can do as well as you grow, but I do, I do laugh. And, and you’re right, I think we are finding that there are different skill sets than what we imagined even in the interview process. And I think just because I’m so close to that piece of it, that we can manage for sure, with the people we have, and we made the right hires, but if it were, you know, sales, or it were IT, I’d be like, Oh, crap, I think I did this wrong, right? Well, and look, there’s exceptions to every rule, every piece of guidance. But, you know, I think the, you know, the one area where I see it happen all too often is where someone hires for the same, you know, group, they will hire a deputy, and then subsequently, very shortly thereafter, hire the new top dog, and for me that really makes no sense, right? That definitely makes no sense, I agree. Because, you know, any senior hire, should have the right to choose the, the immediate team underneath them. Yeah, they may well inherit people who’ve been there a while. But, you know, you certainly don’t want to have someone, you know, bring someone in, and then bring in a senior to them three months later, if you can avoid it. You know, you know, obviously, sometimes these are unplanned, you know, someone leaves unexpectedly, whatever. But, you know, if you’re, if you’re planning on both hires always make the senior hire first no matter… even if it’s easier to hire that junior person don’t do it. Because it’s, you know, eventually, probably sooner than later, that senior person is going to want to bring in their own person, and then you just created a whole another problem. And then that, then that takes us over to, you know, episode two of this series, where we talk about how to fire and it just, it’s not a good thing. So, so my advice is, is certainly to avoid that in the process. Yeah, I totally agree with that. Totally, totally. And, you know, I guess the, you know, my… since we’re sort of creeping towards the, the end of this first part of the series. And I, it’s clear to me that we probably ought to have some, some more episodes on specific aspects of hiring, because we’ve only really skimmed the surface here of some of the issues that that folks need to be thinking about. But, you know, I think the, the last piece of advice I would give on hiring is, don’t hire for the, just for the individual situation, but look at it on how it affects the overall agency, right? So, you know, you want to be thinking about, you know, particularly if you’ve got some size to your agency, obviously, at two or three people this is, you know, not a big deal. And, you know, once you get up to, you know, 150 not a big deal. But, you know, if you’re like most agencies, and you’re somewhere in that middle ground, you know, think about how the overall dynamic of the, the agency changes as you hire in certain areas, you know, are you are you making yourself heavy towards one functional area and, and think about, not just what that does for the overall business, but what it does for team morale and things like that, right, because, you know, one of the things I’ve seen a lot of agencies struggle with, is the agency owner is willing to invest in a certain team or certain function at the perceived expense of another, right. So if you’re, if you’re part of the creative team, and you’re not getting new bodies, but you’re getting more workload, and you see the account teams keep growing, you know, that that can, you know, bring in some anxiety, some animosity or tension. So, you know, think about – make sure that you’re thinking about the whole team and at least how to message it, even if you decide this is where I need to invest, make sure you’re messaging it appropriately so that other folks don’t feel left out, because I honestly, I’ve never dealt with an agency where agency employees don’t feel like they have too much workload, right? Oftentimes, it’s not true. It’s often just that they’re, you know, spending time on things, they probably shouldn’t. But, but if you ask the individual employee, it is rare to go up to an agency employee and say, you know, how’s your workload? Oh, I’m swamped. I’m swamped. You know, they very rarely say, Oh, yeah, you know, I’m kind of twiddling my thumbs, two days a week. So right. So, you know, so, but you need to, you need to be thinking about that, because it’s, it’s very easy to solve one problem, but you want to be careful that you’re not creating another one because you were, you know, either not thinking through the decision or not messaging it properly, because internal communications within your agency is very important. Oh, gosh, there’s another another show idea somewhere down the road, I suppose. There is indeed. We will have to get the transcript from this so we can jot down all our ideas. You know, fortunately, we do have a transcript of each episode. So if you’d rather read through the text instead of listening to our charming voices, you’re welcome to do so. Although I would not trade listening to our charming voices. Excellent. Well, good news is, although this episode is coming to a close, you will have a chance to listen to the second part of this where we talk about the flip side of hiring. And that is the unfortunate case of firing and obviously lots of pitfalls to to understand and avoid there. 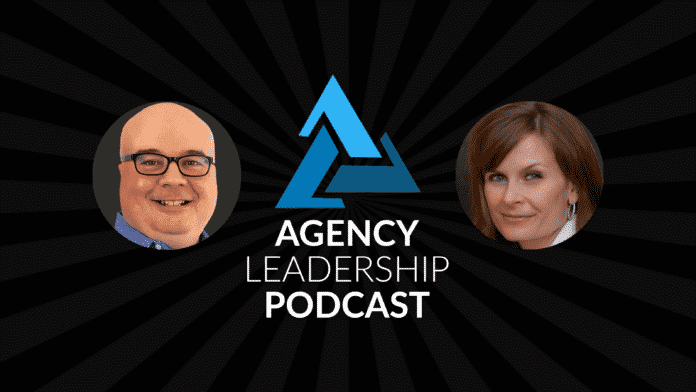 So we’ll get to that in Episode 22 of the Agency Leadership podcast. But for now, that brings our drinking episode to a close. Episode 21. I guess our drinking age episode, not our drinking episode. Our drinking age, yes. Because I have not started drinking. No, there’s an idea for a show. We could just, you know, like, drink and then record the podcast and then probably throw it out. Maybe we’ll do it for our 50th are something. There we go, there we go. Certainly, we we don’t want to wait for 1000, like, like Shel Holtz did. No, no. It’s a long time from now. And in fairness he was not to my knowledge drinking on that episode either. So I don’t want to suggest that he was but but we will celebrate episodes much quicker. Yes, yes. Yes. We won’t wait that long. Because 1000? Gosh, I mean, that would take us what to, like 2070 or something like that. Yeah, no, thanks. Nope. Nope. I don’t want to be 100 and still doing this podcast. Sorry. No, no offense, Gini. In any case. With that we are at the end of this episode. I am Chip Griffin.